Show the person you love the most just how much they mean to you with this lovely card from East of India. 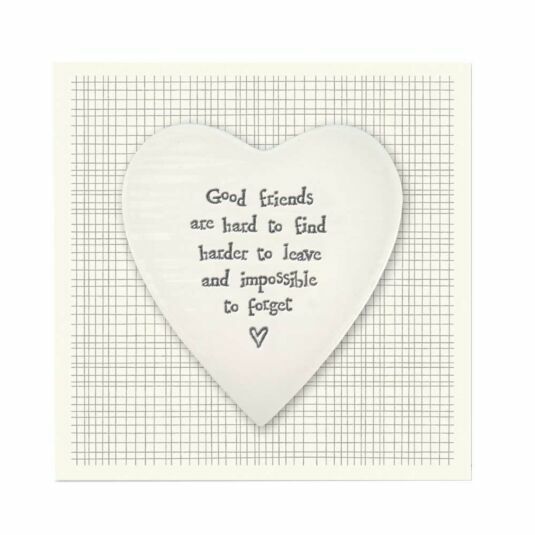 This cream card is decorated with a grey grid and has a white porcelain heart on the front that features the message; ‘Good friends are hard to find harder to leave and impossible to forget’. 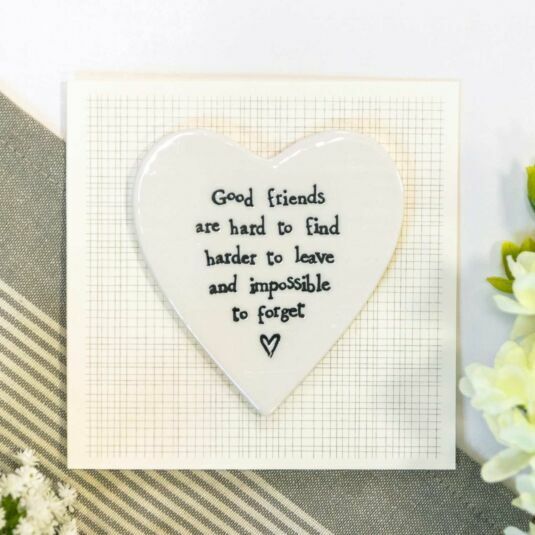 Perfect for giving to your friend on their birthday or any other day just to show them how much they mean to you. The card comes with an envelope ready to send it safely to your loved one.